Awarded for Outstanding Academic Performances. 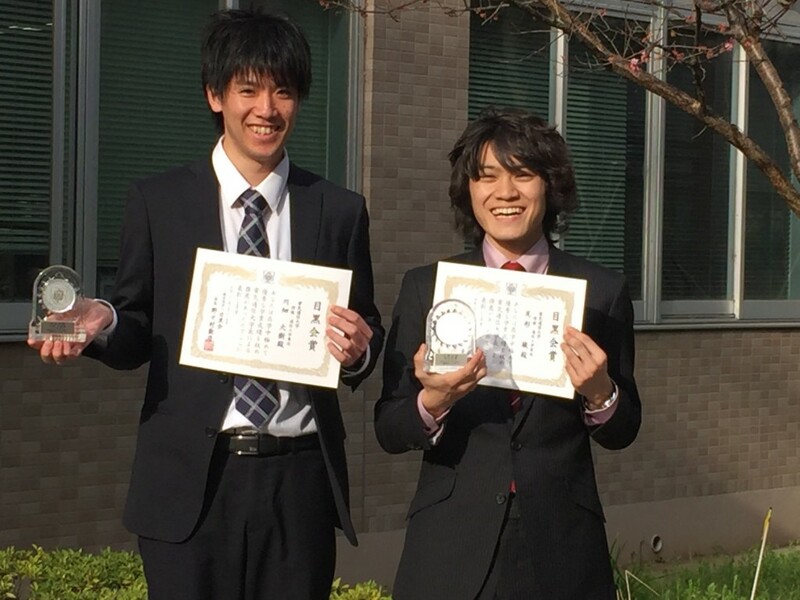 Our member, Shun Ogata (right) and Hiroki Kawabata (left) received the Meguro-Kai Award for their outstanding academic performances. Congrats.